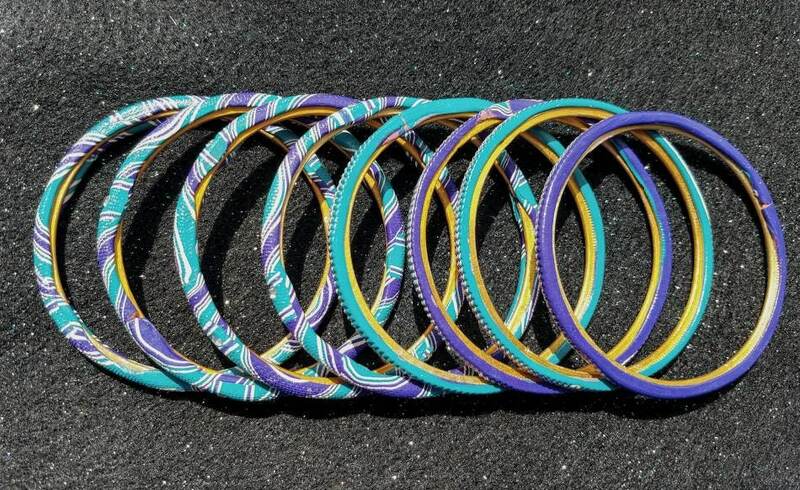 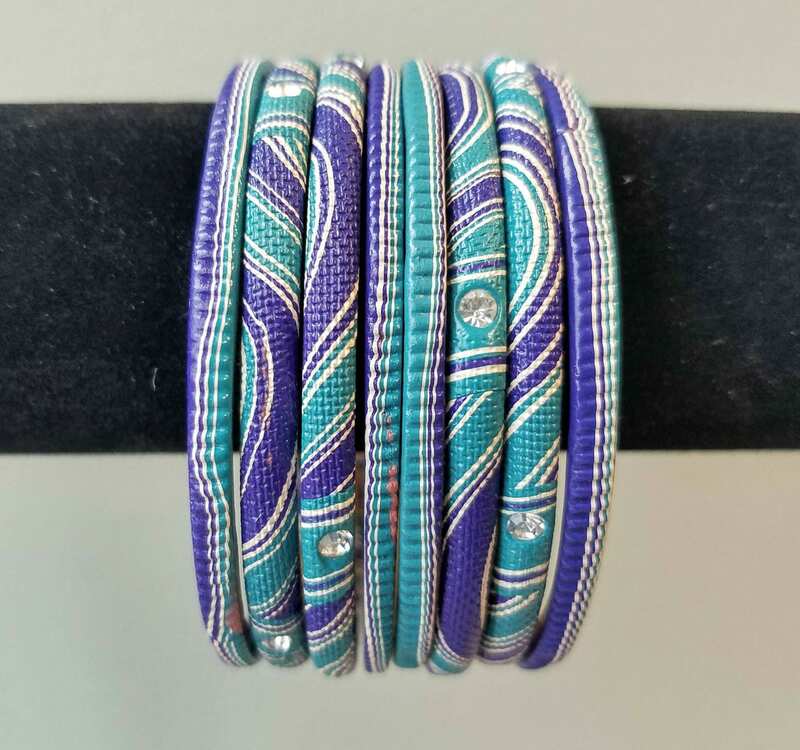 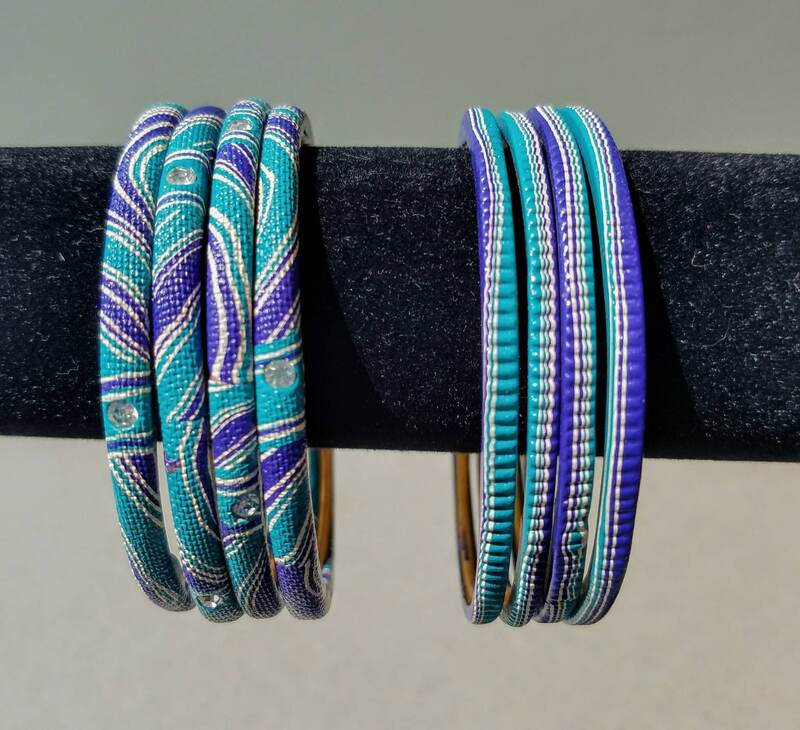 Beautiful op-art bangles, in swirling teal blue and purple color. 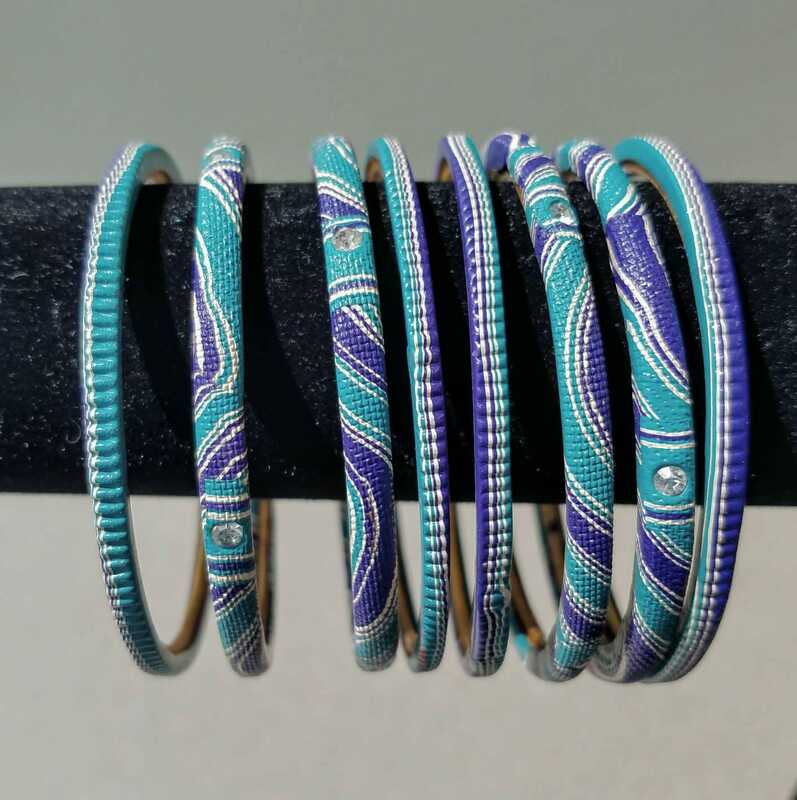 4 thin bangles with wavy/wobbly stripes and 4 thicker bangles with wrapped swirls. 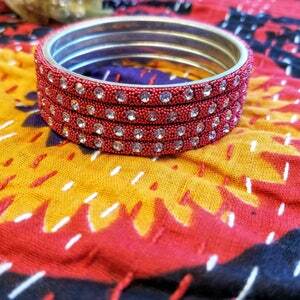 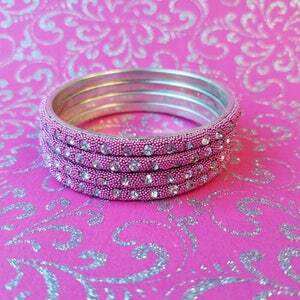 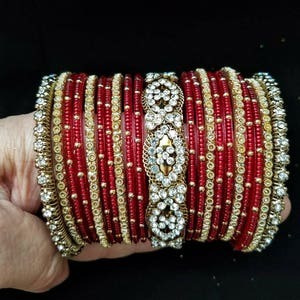 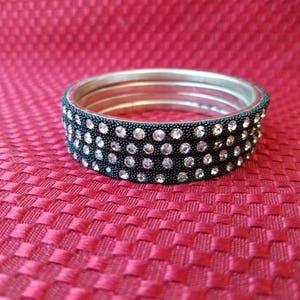 Small round crystal accents on the thicker bangles add just the right amount of bling.